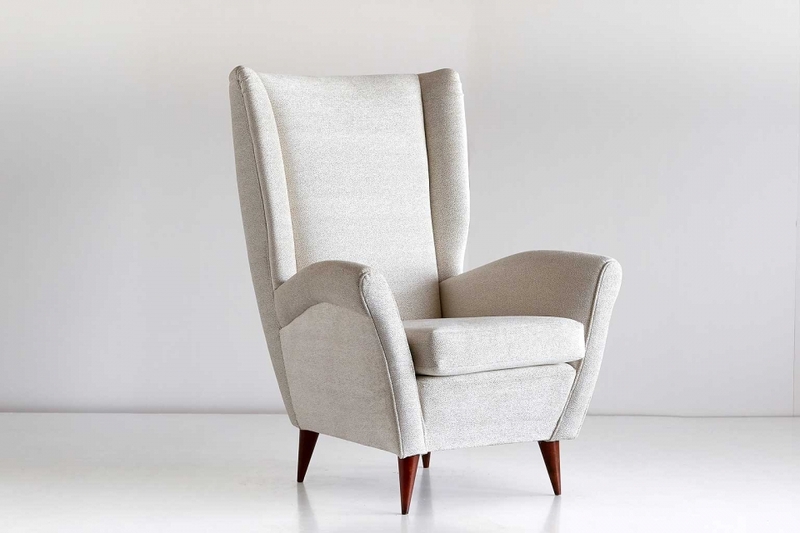 This high back armchair was designed by Gio Ponti for a private commission in the late 1940s. The chair is characterized by their strikingly modern lines, elegantly tapered walnut legs and generous proportions. The comfortable armchairs has been fully reconditioned and newly upholstered in an ivory Dedar “Sottosopra” fabric. This luminous and sumptuous double chenille fabric has a dotted galuchat pattern which creates a subtle play of light and dark. Expertise and certificate number 17121/000 by the Gio Ponti Archives.